In a few weeks, Northern Virginia’s first bus rapid transit service will begin operations on dedicated busways through Alexandria, VA’s burgeoning Potomac Yard neighborhood. A visitor standing under one of the new station awnings can see a string of cranes stretching from north to south along US Route 1, at work on the planned 3000 residential units, 4 million square feet of office space, and 1 million square feet of retail space along the transit corridor. Alexandria City Councilor Tim Lovain, who championed the busway as an essential tool to support high-density growth in this corridor, smiles broadly as he describes the accomplishment, but is even more interested in the transit lines still under development in the city. Many of these transit projects are included in the Transportation Master Plan Councilor Lovain helped adopt in 2008 during his first term on the Council. 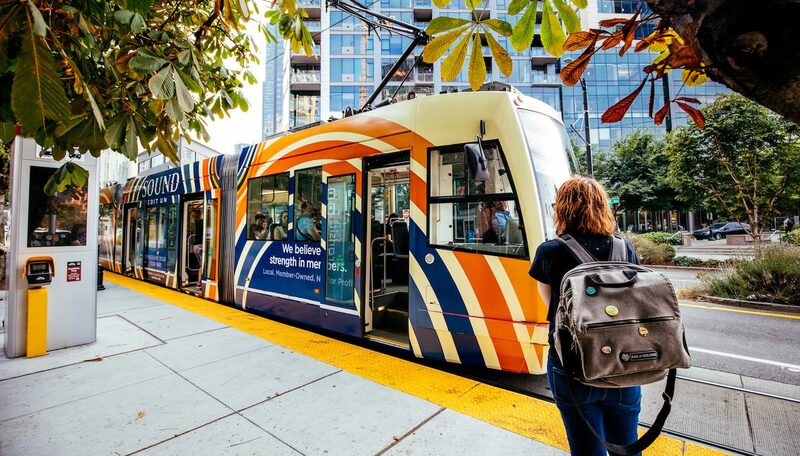 In addition to the Route 1 corridor, that plan identified two more high-priority corridors where bus rapid transit will be developed in anticipation of future streetcar lines. Both of those corridors are in the City’s newer West End, which is characterized by car-oriented, lower density development. West End neighborhoods are more difficult to serve with transit, but Councilor Lovain makes the case for it as an essential tool for economic survival in the transit-rich metropolitan Washington, DC region. The idiotic Department of Transportation rule that’s hobbled America’s mass transit—and the wonderful regulation that may soon replace it. I’m not sure there is any one word that describes my concept of a sustainable community place more than walkability. At least when it comes to describing the physical aspects of a place. Is it safe, comfortable, and enjoyable to walk in? Does it have an abundance of places to walk to and from? Is it human-scaled? If the answer is yes, chances are that it also has many of the characteristics that smart growth and urbanist planners strive to achieve: density, mixed uses, connectivity, appropriate traffic management, street frontages, opportunity for physical activity, and so on. Spreading about $260 billion over a five-year span, the House proposal would continue to fund transportation programs at close to current levels. Goodbye, farm. Hello, subdivision. Despite talk of smart growth, urban Sacramento didn’t check its sprawl in the past 10 years, but ballooned instead, spreading out at a faster pace than in decades past, according to a Bee analysis of new census figures. “You’re going to see the House move, I think, before the end of the year on an infrastructure bill,” Boehner, an Ohio Republican, said on ABC’s “This Week.” Boehner said last week the House will consider legislation to finance infrastructure construction, in part, by expanding energy production. If you think Quicken Loans founder and Chairman Dan Gilbert is having an impact on downtown Detroit, you ought to see what he’s doing in Cleveland. Since Gilbert bought the Cleveland Cavaliers basketball team in 2005, he has renovated Cleveland’s renamed Quicken Loans Arena (The Q), opened a mortgage banking center that now employs 300, built a $25-million practice facility for the Cavs, and is deep into construction for a $350-million Phase I of his future Horseshoe Casino in a former department store downtown, with a 16-acre new casino to follow in a few years. Gilbert’s investments in and around downtown Cleveland will total close to $1 billion.